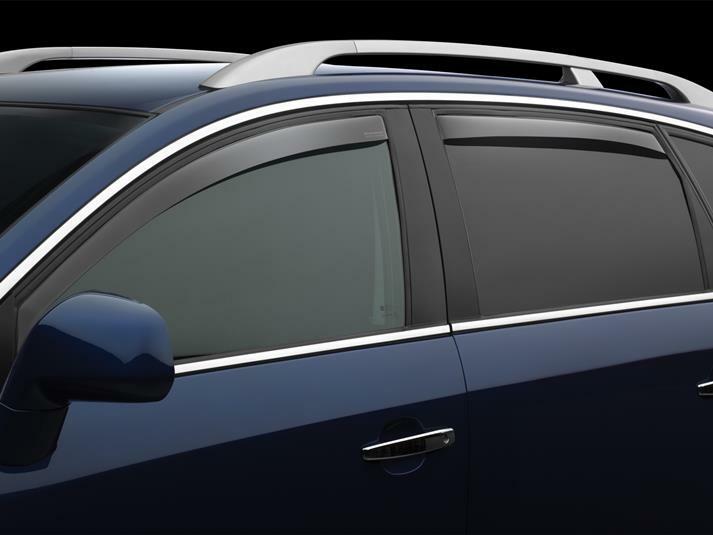 WeatherTech Side Window Deflectors are precision-machined to perfectly fit your 2019 Hyundai Tucson's window channel. These low profile window deflectors help to reduce wind noise and allow interior heat to escape. Our light tinted Side Window Deflectors are the only deflectors in the world made with a D.O.T. (U.S. Department of Transportation) approved glazing material. Available in light and dark tint for most vehicles. Designed and Engineered in USA – Handcrafted in Germany. I had recently purchased a like new, used Hyundai Tucson. I knew I wanted side window deflectors, the only place I trusted is Weatertech. The dealer wanted upwards of $180 for parts and install. I placed my order and received them within a week, standard ground shipping. I couldn't wait to install them. the front set slid right in with some effort, shows the quality of the craftsmanship. The rear set was a little bit harder to install, but I got them in, again, testament to quality. i am very confident that they will stay in place for ever.